Has the new working class American hero just walked into the room or what? 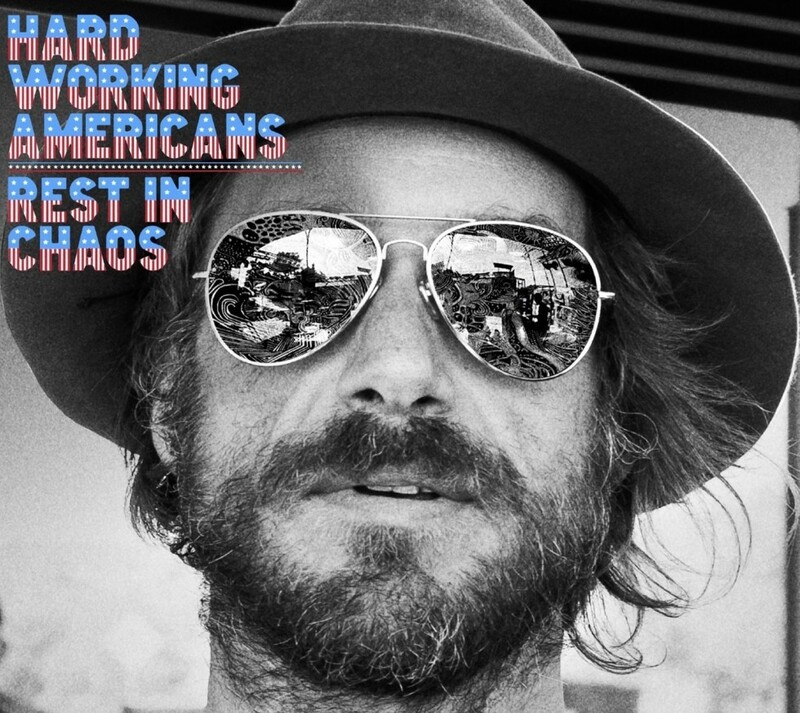 Rest In Chaos delivers a dusty bluesy countrified bit of rock n’ roll with some jam band psychedelic influences laced around the edges that allow it to go down easy, and dance across your ears long after the songs are over. Hard Working Americans lay out a series of stories, and whether they’re true or not doesn’t matter in the least, ‘cause I’m taking ‘em to heart, like they’re happening down the street, in the car next to me at the light, and in the supermarket, where I get a whiff of weed as the guy in a tattered muscle shirt rolls by me, with all the wrong stuff filling his cart. This is pure rock n’ roll with a sinister attitude belaying disorder, dystopia and an unsavory desire for salvation. But not salvation from God, rather from skeptics and the streetwise, where gunslingers carry a hard-lived six string, ride in muscle-cars shot with gray primer and windows that never roll up. This is a band with a deep bottom and lyrics that hold your attention, sounding lost, forgotten, disregarded, impossible to ignore, and delivering an album that shivers with heart … making the last minutes of the day seem like the best you’ve ever lived.